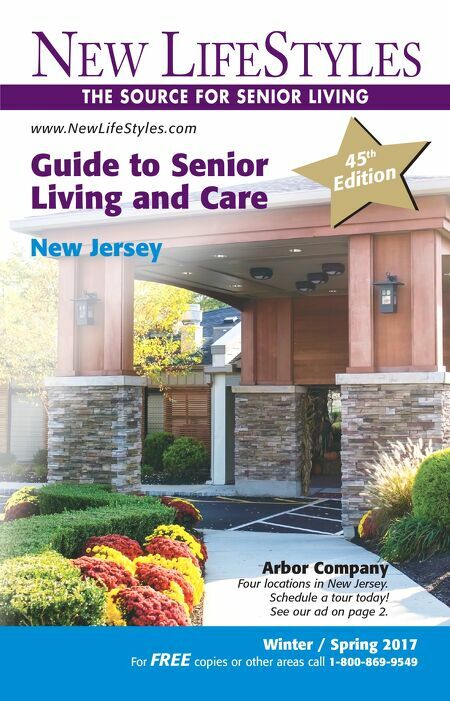 Winter / Spring 2017 For FREE copies or other areas call 1-800-869-9549 Guide to Senior Living and Care New Jersey www.NewLifeStyles.com 45 th Edition Arbor Company Four locations in New Jersey. Schedule a tour today! See our ad on page 2.